I have a saying that is only partially in jest: “Insanity is an occupational hazard for painters.” Look at art history, especially during the Modern era, and the trend is pretty evident. Now I happen to be a very sane and stable individual myself. At least I think I am. But I can understand why going through the process of creating art opens the psyche up for derangement. The smallest dab or gesture on a painting can make it or break it. My wife Michele Bledsoe and I are intuitive artists. We work it out on the canvas, trying to convey the contents of our minds without relying on preparatory sketches or source material. When it works, there is the thrill of discovery. The problem is we never know in advance what the smallest dab or gesture might do to the entire composition. Until I see it myself, I don’t know if that little adjustment will make the canvas sing, or drag it into the abyss. Fortunately painting is a very flexible, forgiving medium. Mistakes can be fixed. Lots of my painting process consists of reworking elements that just didn’t work well enough. I had been working on my latest major painting, “The War You will Always Have With You,” for about 2 months before I had that eureka moment. I gave my lion pupils, simple little circles of white, and it was like suddenly there was another presence in the room. The art was looking at me even as I was looking at it. Since I took the photo above, I have completed this painting; it took about another month. My next post on the subject will show the finished piece. But even after 25 years of painting, I am still amazed how a little change takes the art abruptly from raw to finishing touches. I don’t buy into the romantic myth of the crazy genius. Real mental illness is a drab and frustrating experience, an obstacle to where great art really comes from. That’s why I’m glad to be a Remodernist artist. It’s a much more integrated and healthy philosophy than the fragmentation of Modernism, or the deceptions of Postmodernism. Part of the thrill of being involved with the international art movement Stuckism is getting to interact with talented artists from around the world. Through the group, we start off with much in common already. Stuckism appeals to those with a passionate belief in art as means of communion. It encompasses an idealistic view of what the arts mean both personally and for society as a whole. It’s exciting to see how every person contributes their own vision within the framework of these principles. I discovered Stuckism, and its overarching philosophy of Remodernism , during some late night web browsing. 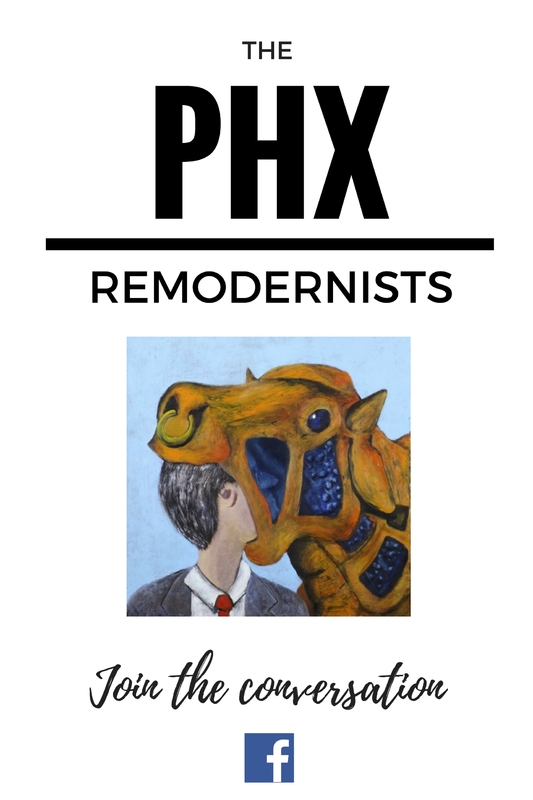 I worked up the courage to ask to be an official part of the movement in 2010, and was granted the status of the Phoenix AZ Stuckists. 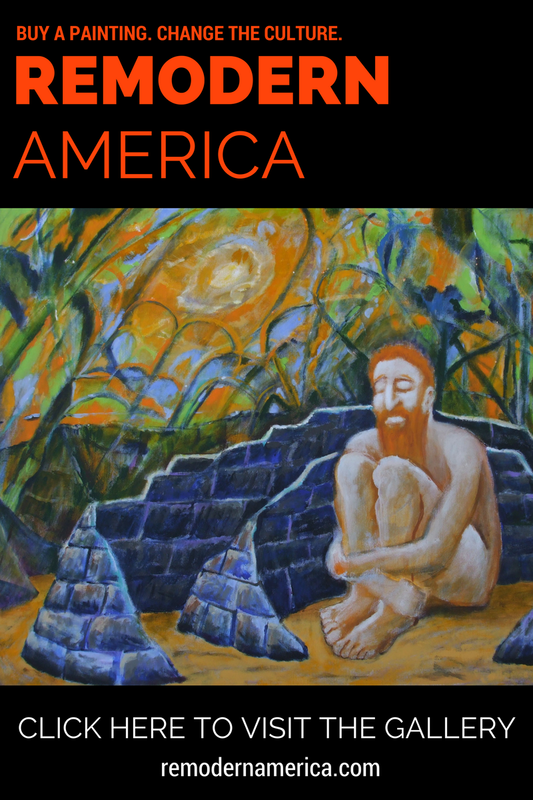 We’ve hosted a series of exhibits in Phoenix in the years since, including 2014’s International Stuckists: Explorers and Inventors, which featured 28 artists from across Europe and the United States. 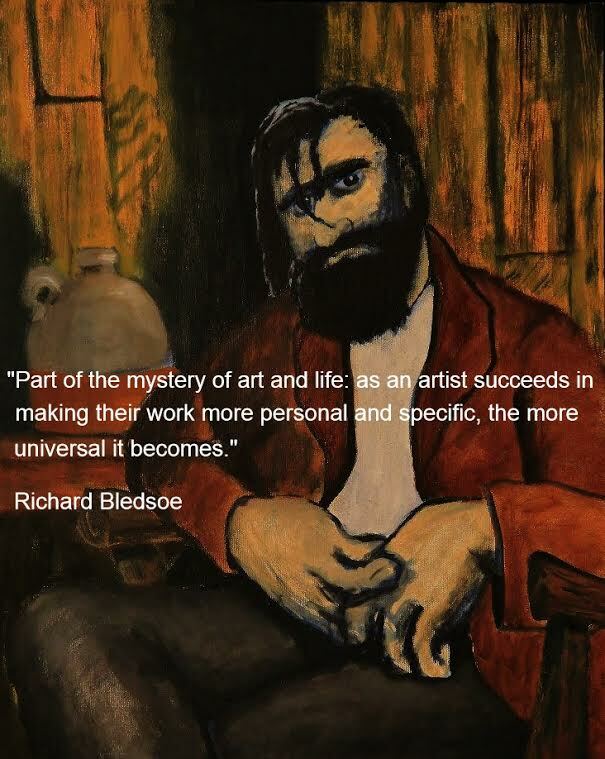 Through the Stuckist group website and social media, I was soon communicating with people from all over the globe who had embarked on their own versions of the same artistic journey. English poet and artist Bill Lewis (see his website here) reached out to me initially about an idea we shared. He too saw Stuckism as just one facet of the broad potentials of Remodernism, a system of ideas that can renew our whole culture, a potent alternative to the deceits and manipulations of Postmodernism. I was amazed to learn this artist who was sharing his thoughts with me was one of the original members of the whole endeavor; in fact, was a big part of what had brought all those creative people together in the first place. For my part, I had one of the clearest episodes of synchronicity in my life instigated by Bill. Something is at work here. In his writings and art, Lewis is a story teller. He has a way of homing in on the significant expressive detail: with a gesture, an expression, an image created by either paint or with words, Lewis is able to capture the heart of the matter. I believe his spiritual sense of life and years of studying myth have trained him to look to the essence of things, and to present his discoveries with the proper sense of significance. The works are graceful because they are true. They are elegant because of the care shown in their creation. Despite their profound themes, these are not heavy and ponderous pieces. They are enlivened with playfulness and rich colors. His poems use sly humor with great impact. In 2017 Lewis produced a new book of poetry, “The Long Ago and Eternal Now” (Amazon Link Here). The work incorporates his own black and white illustrations. It’s his second collection, and expresses his sensibility and interests in clear, evocative language. They say the way you do something is the way you do everything. When I look at the paintings of Bill Lewis, and read his poetry, I think of Magic Realism. Not just as a literary convention, but in the context of looking through the mundane and seeing the miraculous underpinnings of it all. It’s a gratifying experience to see the world as he presents it. As someone who was there from the beginning of the ongoing revolution in the arts, Bill Lewis has much to say about how it has unfolded and influenced his creative work. In the interview below, Lewis shares stories and insights about his experience as a Remodernist poet and artist. Question: You are one of the original members of both the Stuckist movement and its predecessor the Medway Poets. How did you come to be involved with these groups? Bill Lewis: First I should tell you how the Medway Poets came about. In the early 1970’s I was living in a little village outside of Maidstone (which is the County Town of Kent). A small group of us formed a poetry reading group which met regularly at a pub called ‘The Lamb’, a Fifteenth Century building by the Medway River. The group was called ‘The Outcrowd’ and the core of it consisted of me, my oldest friend Rob Earl and his wife Betty. In 1977 I got onto the Art Foundation Course at the Medway College of Art and Design (as it was then called) in Chatham (one of the Medway Towns). It was here that I met Billy Childish. I invited Billy to Maidstone to read with ‘The Outcrowd’ and in exchange Rob came over to the Medway Towns and read with Billy and I at a gig at the college. About this time Alan Denman who was a lecturer in English at the college, started a regular cabaret/poetry evening at a pub called ‘The York’ near Chatham railway station. Incidentally, ‘The York’ was not only one of the roughest pubs in Chatham but in the whole of South East England. At one of these evenings we met Sexton Ming who was one of the most eccentric and funniest poets I have ever met. The night he first arrived it was raining really hard and he asked if he could read and Alan said yes, but before he did so Sexton asked if he could bring his mistress, Mildred, in out of the rain. We said of course, the poor woman must be soaked. Mildred turned out to be a broom handle with a papier-mâché head and a wig. Later whilst Sexton was reading a poem her head fell off. The audience were in fits of hysterical laughter. This became a pattern over the next few years; you never knew what Sexton was going to do next. Everyone I know has a Sexton Ming story. Billy and Sexton got on really well and started to produce fanzines and booklets together. Billy was in a band at the time called the ‘Pop Rivets’ which later transformed into ‘The Milkshakes’. Very soon a Medway sound developed and in the next few years there were hundred of bands in the Medway Towns playing the Medway Delta Sound. Lots of people read at ‘The York’ but gradually it became clear to us that several of us could work well with each other as a group. The last two poets to join the group were Charles Thomson and his then girlfriend, Miriam Carney. At this time we still hadn’t got a name for the group but as were starting to be asked to read at other local venues, we needed to get a name. I came up with the idea of calling ourselves ‘The Medway Poets Group’ because at that time the Medway Scene was becoming well know outside of the region. We didn’t have a “house” style as we were all into very different things. 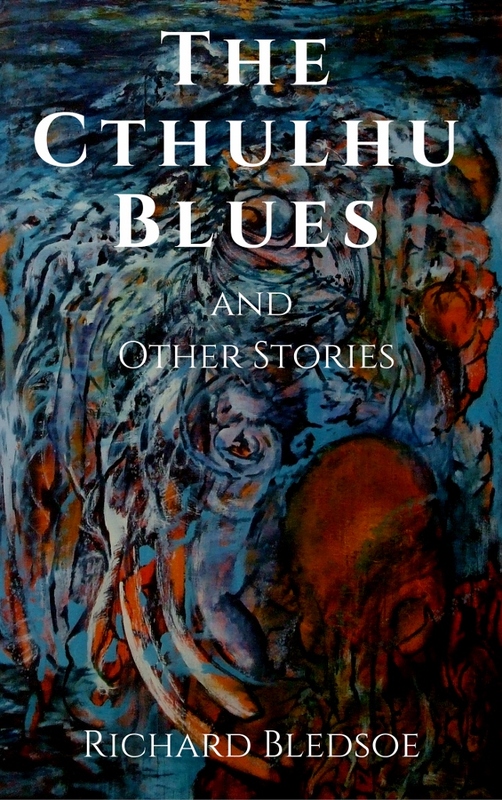 Charles was influenced by Betjeman and Auden at the time and Billy had discovered Bukowski and Fante. With Sexton it was Zappa and Beefheart and I was reading a lot of Neruda, Ted Hughes and French poets liked Jacques Prévert. Miriam’s poems were very personal and about her relationships. We had started to get some interest from outside the Medway area, especially when a well known poet called Richard Berengarten from Cambridge (who was writer in residence in the nearby town of Gravesend) brought his entire creative writing class over to see us perform. In 1980 Richard got ‘The Medway Poets’ their first major gig at the Kent Literature Festival and in 1981 at the prestigious Cambridge International Poetry Festival. Whilst we were performing at Cambridge I met Robert Parker Sorlien who was a Professor of English at the University of Rhode Island. It was Robert who was to arrange some of my first readings in the USA. The Medway Poets split up in 1982 not long after a television company called TVS made a documentary about us. By then Charles and Billy were not getting on and it was clear that the group couldn’t function with their animosity towards one another. In 1987 ‘The Medway Poets’ attempted to get back together for a tour that I arranged with Amnesty International. We were supposed to read in five towns throughout Kent but by the third town old animosities broke out and so it was only a part of the group that finished the tour! We all carried on working separately over the next decade. During that time I was doing readings in support of Chile Solidarity. In 1988 Carlos Rigby, a Nicaraguan Poet and storyteller, performed in London where he came across some of my books. He ‘phoned me from the Nicaraguan embassy before he left London and suggested that I might like to witness what was happening in the Revolution. My wife Ann had just been made redundant so we paid the mortgage for 4 months and took ourselves off to Nicaragua Libre. Whilst there I gave several poetry readings, met and became friends with Claribel Alegria (the award wining Salvadoran poet) and Alicia Partnoy (the Argentinean Writer whose book ‘The Little School’ gave a harrowing account of her incarceration in a concentration camp during the ‘Dirty War’). I also met Sandy Taylor, the poet, translator and co-founder of ‘The Curbstone Press’. It was Sandy who arranged for me to read at a literary festival in Connecticut. Sandy, along with Robert Sorlien introduced my work to an American audience. Almost every year in the 1990’s I would do a mini poetry reading tour on the East Coast. In 1997, a miracle happened. Having pursued our individual careers for a decade, ‘The Medway Poets’ managed to get together for one last gig at a literary festival in Rochester, UK. Charles and Billy seemed to be able to tolerate each other and there was a brief period of entente cordial. In 1999 Charles and Billy started a group called ‘The Stuckists’. The group got its name after Tracey Emin (Billy’s ex-girlfriend who was now one of the ‘YBA’s’) left and angry message on his answer phone telling him he was “Stuck, Stuck, Stuck” in the past as he still painted. The ‘YBA’s’ didn’t think much of painting and were more interested in post-modernist theory and conceptual art. Charles approached me and asked me if I was still painting (because as you know Charles, Billy, Sexton and I were the members of ‘The Medway Poets’ who also painted), I told that I was but didn’t show my work as I was primarily interested in writing. He then asked me if I wanted to join ‘The Stuckists’ and I thought, why not? ‘The Stuckists’ had their first show in the autumn of 1999. It was called ‘Stuck, Stuck, Stuck” after Tracey’s angry ‘phone message. ‘The Stuckists’ were billed as the first Remodernist Art Group. We thought there would be lots of other Remodernist groups emerging but what actually happened was that lots of groups calling themselves ‘Stuckist’ began to appear all over the world, in part thanks to the Internet. Q: How do you create your paintings? BL: They usually begin with an idea or image that I can’t get out of my mind. I attempt to put that image down on canvas and then quite often strange symbols and figures appear. I don’t always understand what these mean. I think of my paintings as magic mirrors that reflect back to me the inner working of my psyche. Sometimes it can take years before I understand what a painting means in its entirety. For example, one of my better known pictures entitled “God is an atheists and she does not believe in me” has a woman wearing a blindfold whist applying lipstick, at her feet, kneels a man, holding a menorah and a crucifix. The woman is sitting on a chair and under the chair is a small white dog, a bull terrier. Years after I painted it someone pointed out to me that ‘dog’, in English is an anagram of ‘God’. This never occurred to me when I was painting the picture. Q: Do you feel your work as a poet influences your paintings? BL: I don’t really think of myself as a painter. I am probably the odd one out when it comes the original group of ‘Stuckists’ because I can go long periods without painting but not so with my writing. I am always thinking about writing, working on things in my head even before it hits the page, but sometimes I need to see an image and I have to make it a visual image. I have certain obsessions. I think all artists, whether they write, paint, make films, are obsessive. The same images often crop up in my work. I understand some of them but others are a mystery to me. I actually don’t think I am a very good visual artists, whereas I do know that my writing is of a higher quality, although my friend, Simon Mills (www.simonmills-artist.co.uk) who is an absolutely brilliant landscape artists, tells me that he thinks my visual work is an extension to my poetry. I think it is the poetry of things which is the truest part or reality. I believe that reality itself is metaphorical. Once you understand that you can slide between metaphors you can avoid unnecessary conflicts. The problem arises, of course, is when someone believes that their metaphor is the only true one and that metaphor is a fact. A fact is of little use to me when it comes to art or poetry. I always prefer fiction to non-fiction because it is true and non-fiction isn’t. Q: How do mythology and spirituality inform your work? BL: I have studied mythology for about 40 years. I am not an academic. As I said before, my only further education is one year at Art College, but my study of myth has been extensive. I discovered the work of Joseph Campbell about the same time that I read the work of the radical American theologian and Prophet Matthew Fox, who I later met and had many enlightening conversation with. Joseph Campbell’s theory of a hero with a thousand faces is something that I have used in my illustrated lectures on myth and Matthew Fox’s holistic and inter-connected view of spirituality is very useful when coming up against the ecological disaster that we call the modern world. I gave my first lecture on mythology during one of my poetry reading tours of the USA. I was due to read my work at the University of Rhode Island and it was suggested to me that the night before my reading I might like to talk to a group called ARIL (The Association for Religion in Intellectual Life). I was a bit nervous as I had left school at the age of 15 without any qualifications but Robert Parker Sorlien said that it was a friendly group and that my extensive studies did not need pieces of paper to validate them. I thought to myself ‘I can talk to a group of students’ but when we arrived at the hall and they started to file in I noticed that the youngest were in their forties. I turned to Robert and said ‘you have got a lot of mature students at your university’, he replied ‘No Bill, they are all faculty members, they are Professors’ … it was my baptism of fire but the evening went well! Since then I have given talks to a very varied groups of people. I think all great art is spiritual. I don’t believe in God in the way that most people would use the term but there is a mystery at the centre of all things. Sometimes I call the mystery ‘the Universe’ or sometimes just ‘the Great Mystery’. You can find this mystery in religion but not always. I think we need more spirituality and less religion. I think my personal view of reality can be summed up in a line by the Nicaraguan poet, Ernesto Cardinal. He writes in his long poem ‘The Song of the Cosmos’, “When I look at a star, it is the star looking at itself with my eye”. Q: What are your observations on the renewal of the Arts? BL: I am not sure how we can have post-modernism because it implies that Modernism is dead and yet there are really great modernist writers still writing. Jeanette Winterson, for instance, refers to herself as a Modernist and the late, great, Angela Carter also referred to herself in a similar way. The fact is the Establishment never liked the idea of Modernism because Establishments by their nature are conservative. They claimed that the writings of James Joyce made an end for Modernism this just isn’t true. Stuckism and Remodernism for instance have within their rank and file Neo-Expressionists, Neo-Cubists, Neo-Surrealists, in fact, all of the styles of painting that came out of the Modernist experiment. Modernism was not a movement as such but an umbrella for all the experimentation of art that emerged in the 20th Century. In our lives as creative people we can encompass every movement in the Arts from the days of cave paintings through the Renaissance to Modern Art. However, we do this in a way that is individual to each of us. If you make a Cubist painting no other Cubist will have made a Cubist painting exactly like that before because it comes through your own personal intelligence. The same goes for all the other styles and “isms”. There are as many styles of paintings as there are human beings. One of the things that I think Stuckism achieved is a renewal of interest in figurative painting which only a decade ago we were being told was dead. One last point; most people think that Stuckism was anti-conceptual art but in fact we were conceptual artists but we painted our concepts instead of putting a found object in a gallery and sticking a piece of paper on the wall explaining why it was art. Damien Hurst claimed to be a conceptual artist and yet in a recent interview he said ‘I don’t like art that makes me think’. I wonder what kind of conceptual artist would say that. In large part, the creative classes are saturated in globalist propaganda. The institutional indoctrination is very thorough, and of course most funding opportunities rely on conforming to the elitist gentry agenda. Sad! However, there are examples of artists who spoke their minds about the fantastic nature of the American experience. In the United States our culture is currently experiencing the death throes of manipulative, oppressive Postmodernism. As we enter the new era of Remodernism, the return of art as a revelation, expect to see more artists express the ethos of liberty in deeds, words and pictures.